What Does Genesis 22:2 Mean? Abraham was to be the man, through whom all the families of the earth would be blessed. God promised to bless those who blessed him and to curse those who cursed him. Abraham was to be a father of many nations, and he was also told that through him.. the promised, supernatural Seed of God would come. It would be through this Seed, that all the families of the earth would be blessed. He was to be the promised Saviour, Who would bring transgression to a conclusion, make an end of sin, make atonement for iniquity and bring in everlasting righteousness. 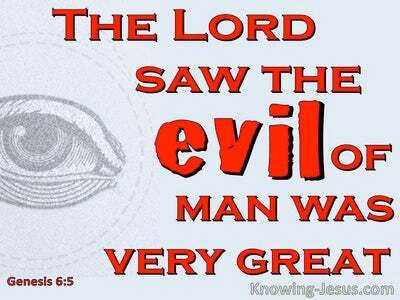 He was the One who would finally seal up the vision and prophecy and anoint the most holy place. He was to be the incarnate son of God and supernatural son of David. The Seed of Abraham was to be both fully God and fully Man, for only God is good enough to pay the price for sin, but only a kinsman redeemer could die for the the sin of mankind. And this holy Seed - Who would be the incarnate God, was to be born into the human race, through Isaac - the son of promise. Abraham believed God, and by faith he left his native city of Ur, and obeyed the Lord's instructions, to leave the place of his birth. He was to set out from the place of his birth, and go to a faraway land, which God had promised to give him, as an inheritance - not knowing where it was or where he was going. Despite many years of waiting and in spite of Abraham's foolish attempts to help God carry out His promise, by producing Ishmael, the child of the flesh, through Sarah's servant, Hagar - Isaac, the true and only child of promise was eventually born, when Abraham was very old and Sarah was beyond child-bearing age. It was through Isaac, this son of promise, that the supernatural Seed was to be born. God blessed Abraham greatly, because of his obedience, and he became fabulously wealthy. The son of promise had been born through Sarah, as God had said, and God had even cemented His covenant with Abraham, through the sign of circumcision.. and for many long years this man, whom God credited with righteousness, because of his faith, was blessed in many ways. I imagine that when Abraham first realised that God was speaking to him once more, he must have been delighted. The wonderful child of promise had been granted, and great wealth been bestowed on him. Abraham probably thought that God was going to carry out His promise to its full and final completion - and they would all live happily ever after. It is quite probable that he was very pleased to hear God call out: 'Abraham, Abraham...' after such a long silence, and his quick response was.. Here I am ! BUT when God speaks to us, it is not always what we want to hear. 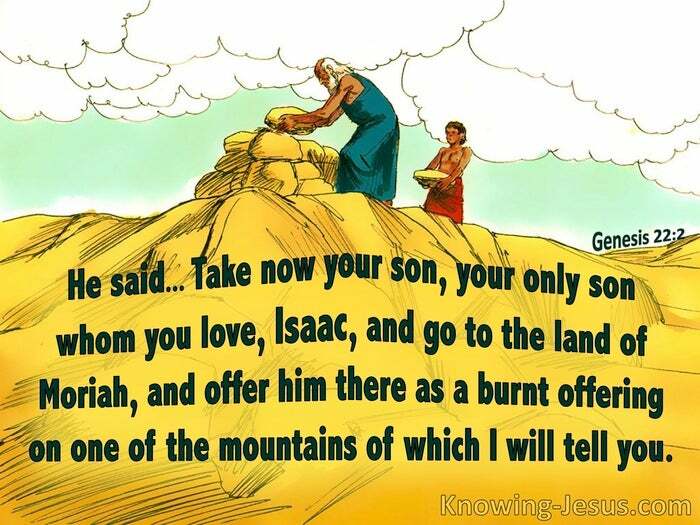 For the great patriarch Abraham, this was his greatest test of faith, for God commanded him to offer-up Isaac, his dearly beloved son of promise, as a burnt offering to the Lord - the very son through whom the Messiah of promise was to be born. 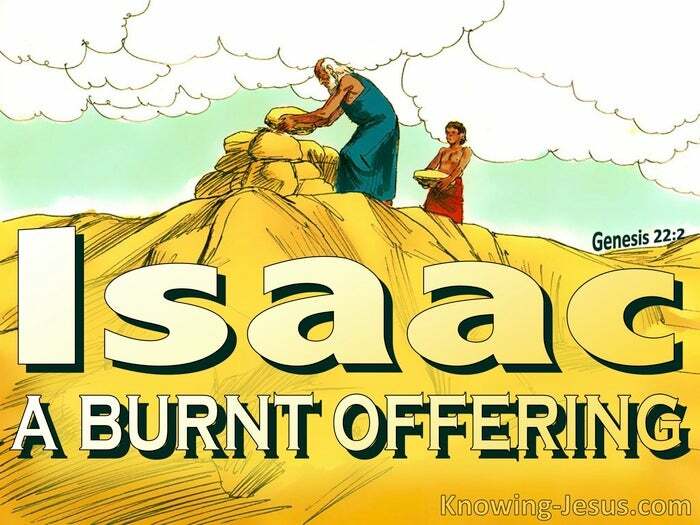 Only one type of offering was made to the Lord before the Law was given to Moses - a burnt offering. We see men like Abel, Noah, Job and Abraham making burnt offerings to God, before any of the Levitical sacrifices were instituted for Israel. A burnt offering is not a compulsory, sacrificial directive, demanded by God. A burnt offering is a voluntary, free-will love-gift, that is presented to the Lord willingly. 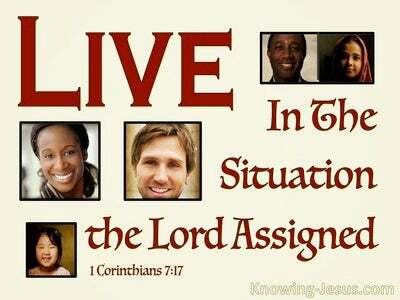 We are supplied, in the verses that follow, with the reason that God spoke to Abraham on this occasion. 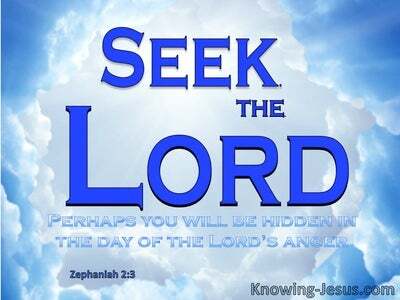 The Lord wanted to test His servant's faith in Him, as the Source of his supply - his Provider and his Benefactor. And God continues to test the faith of all His children today, because He knows that the sort of decision Abraham had to make, would develop and increase His faith in God and reliance on Him. God knows that suffering produces fortitude, builds character and develops our faith and hope in Him. Indeed, Paul instructs us to be joyful when encountering various trials, for when we persevere under serious difficulties; our faith will be strengthened, and in His grace God has promised those who remain faithful during trials and tribulations, will one day receive a crown of life, which the Lord has promised to those who love Him. God desires that ALL His children grow in grace, mature in their Christian life and come into a deeper, and more intimate knowledge of His character and His will. God knows that through pain and heartache, faith is fine-tuned and and trust is Him is sharpened through seasons of suffering. God desires to hone our faith in Him and develop an increasing trust in Him, even when circumstances appear to dictate a devastating outcome. It is unlikely that God will speak to us in the clear voice, which Abraham heard, but God's plans and purposes for all his children remain the same. 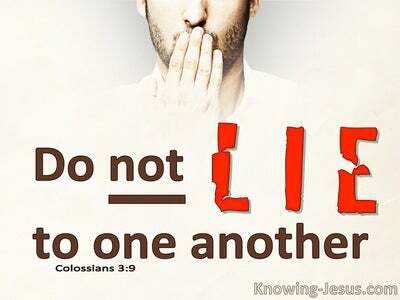 That we trust Him in all things and do not allow the problems, pain and persecution we undergo to cause us to waver in our resolve to believe God's Word - even when He says things we do not want to hear. Abraham believed God when he left the pagan city of Ur, but his faith was tested and deepened, when he was commanded by God to set out for Mount Moriah to offer his one and only beloved son of promise, as an love-offering to the Lord. Abraham believed God and was justified.. and Abraham continued to believe God, throughout various tests and trials he underwent - and Abraham grew in grace and in a knowledge of the God in Whom he trusted. Through it all Abraham found that God was faithful to His Word - and He is no less faithful to fulfil the promises He has made to you and to me. Heavenly Father, thank You for the example of people like Abel, Noah, Job and Abraham, who believed Your word and their faith was credited to them as righteousness. Thank You that You are faithful to Your word, and that Your desire is for my faith to grow in You. Increase my trust in Your Word of truth, and may my life become a witness to Your never-failing faithfulness. May I continue to grow in grace and mature in the faith.. and may I count it all joy when I am called to suffer for righteousness sake, for Your greater glory - this I ask in Jesus name, AMEN.